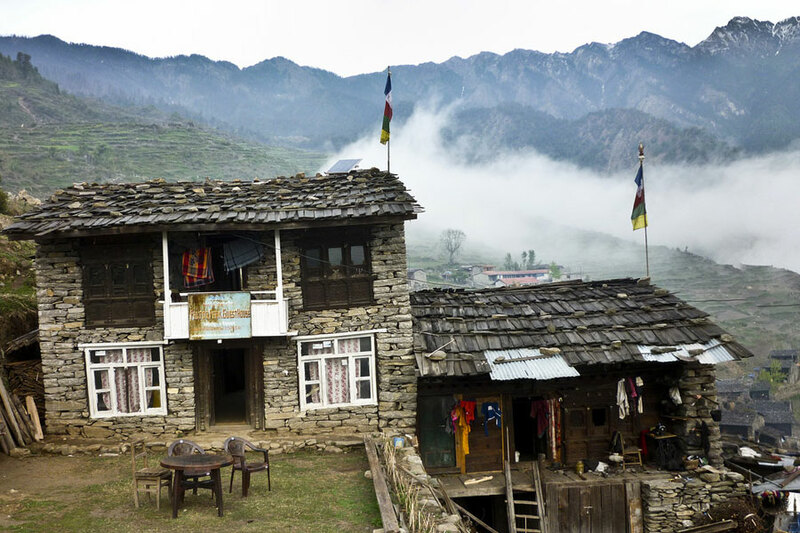 The Manaslu and Tsum Valley Trek offers a chance to trek around Mt. Manaslu while exploring the beauty of the Tsum Valley. Trekking around these regions have been opened recently, therefore these areas are some of the hidden gems of Nepal. The Tsum valley is in the north of Kathmandu. The people of the region follow identical Tibetan Buddhism and Tibetan culture. In the Tibetan language “Tsum” means vivid. As the name goes valley is pure, pristine and holy. The legendary valley is home to ancient art and culture. The trails to Tsum are scattered with brilliant Chortens and lined with Mani walls made of thousands of stone slabs adorned with paintings of deities and inscribed with holy prayers. Those that have explored the region that trekking around Manaslu reminds them of the Annapurna Circuit, but the region nevertheless is much more distinctive and less explored. This trail takes visitors through spectacular natural landscapes and culturally rich local people. The trek is recommended for those seeking a physically challenging trip in the Nepalese Himalayas mixed with a chance to explore the treasures of the Tsum Valley. This first trekking day will be on a flat rough road to SotiKhola. It will be a good training before to start the trail, which is going up to 5,215 meters of altitude. The trail goes through the Sal Forest, leads several suspension bridges and goes near two tropical waterfalls before to reach a hillside rocky path, which goes through few rice terraces. During this day, the wooden landscape will radically change to leave sheer cliffs. The trail follows the river, with minor ups and downs to Khorlabesi: where coffee, buckwheat and tobacco are grown. The trail is going toward the Langtang and Everest regions. We will walk through lush narrow gorge that constricts the river’s progress and pass by the triple hot spring spouts in Tatopani and we will have to cross the BudhiGandaki on a suspension bridge. The trail will bring us through lush grasses and scrub up the exquisite narrowing valley to the village of Chisopani and then the millet fields of EkleBhatti. The trail then gradually descends, beneath a spectacular waterfall, into the gorge. Afterward the track rises up through blue pines and rhododendrons, to Lokpa and the narrow Lower Tsum Valley. Descend through forest, crossing streams, before tackling a long and steep climb up the south side of the SiyarKhola gorge that drains the Tsum Valley. The high point is marked by flags and offers a view across the ShringiHimal above colourful grain, potato and bean fields. The houses of the village are built with sloping roofs to cope with the abundant rain and snow. Today we will walk into new forest growing over a recent landslide and a lush forest, inhabited by white-faced langurs. We will pass by the DampheGompa with hundreds of small ceramic statues of Chenresig (Buddha of Compassion). Afterward you will enjoy the view on the Ganesh Himal and Baudha Peak. We are entering in the Tsum Valley. Once upon arrival at the village, you could enjoy the view of Himalchuli (7,893 m). Because it is a short trekking day, we will have a time to visit that the trail provides on the way. Firstly we will join a local school (depending of the activity, you could visit it and share a short time with kids). Also, we could visit two chapels and two caves, renowned for an impression of Milarepa’s footprint and a rock in the shape of an elephant. To keep enjoying the Tibetan culture, we will visit the retreat monastery Chi Phu, clings to the slopes higher up the LangjuHimal. Further, there is the Rachen Nunnery, established in 1905, is enclosed within spacious walls that form the outer residential cells for the nuns. The original small monastery is decorated with murals depicting the history of Buddhism. Moreover a large and imposing new temple has been built within the grounds: spacious, light and decorated with acrylic paintings and bright hangings. The inner wall houses numerous deities in tall glass fronted cases. After enjoying other stupas on the way, we will reach a 700 year old two storeyed Gonhgye Monastery, with superb views in a background. We will start the day with a short walk to Mu Gompa, which is 77 years old. A steep climb allows you to reach the 856 year oldDephyuDoma Nunnery (place of the birth of light) which is superbly situated at 4,000 m on a small promontory, which provides a very serene ambiance and boasts beautiful and high himalayas in the surrounding. Mu is the highest permanent settlement in the Tsum Valley. 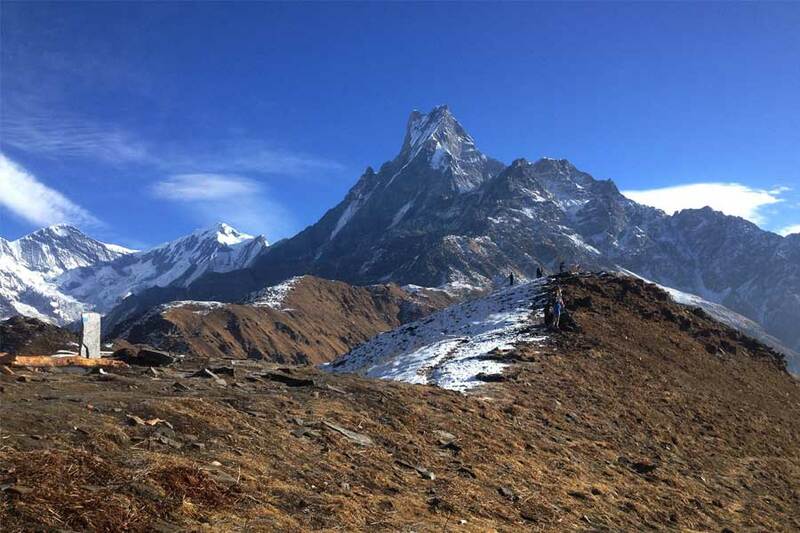 Depending to our physical condition (sickness altitude or fatigue muscles) and to our wishes, you will have the chose to have a rest in Mu Gompa and explore the surrounding area or to climb with the guide to the border sight between Nepal and Tibet via Nguladhojyang pass with the elevated 5093m. 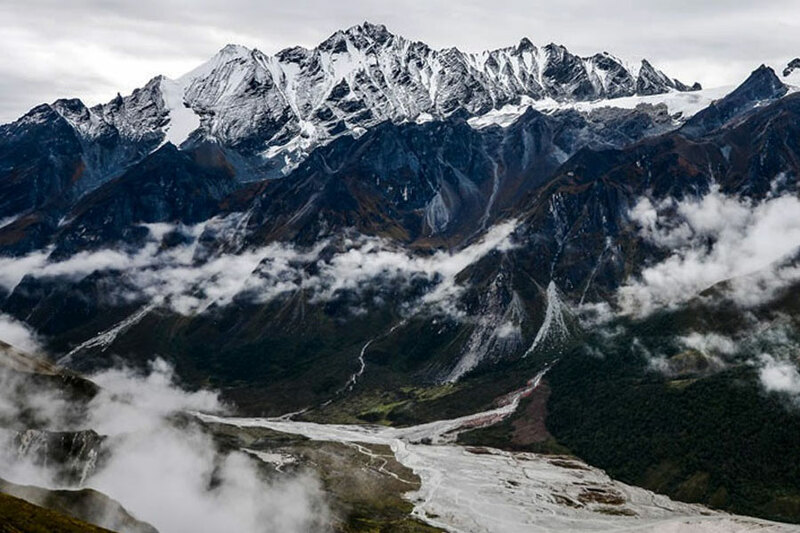 If you visit this top then you will see beautiful landscape of Tibet plateau around Kerung, which is the boarder of Nepal & Tibet along the SyabruBenshi (it takes about 8/9 hours). Today we will climb further up to Bhajyo. We will be quite close to Tibet and get a good view of the Tibetan peaks as well as the Ganesh Himal range. Bhajyo is a remote area there is not any local houses. Only we can see some yak farm house. The trail will be easier as it is going down to RachenGumba. Established in 1905 AD, the RachenGumba is a nunnery in the ShiarKhola Valley. The nunnery is one of largest in the region and has a splendidly painted interior with Buddhist mural paintings. Trek from Rachen Gompa to Deng, It takes about 7hours walk. Day 15 – Trek to Namrung (2900m/9512ft) / 5 hrs. Today, We scramble steeply up onto a spectacular trail and descend to cross the river. We pass through some small settlements and ascend to an impressive valley where we encounter various Mani stones (prayer stones) carved into wayside rocks, a sign that we are entering a Tibetan territory. In the afternoon, we make an excursion to the small settlement of Prok. It is a two hour round trip. Day 16 – Trek to Lho Gham (3180m/10430ft) / 3-4hrs. We steadily climb up into the alpine where we see the first glimpse of Manaslu North and Manaslu. The stunning view of Manaslu is awe inspiring. Day 17 – Trek to Samagaon (3500m/11480ft) / 6 hrs. We pass the stone gate and a long Mani stone wall of the village, with full view of Peak 29 ahead. We can also make a side excursion to Pungen Glacier to get a close up view of Manaslu. The trial follows a lateral moraine of Pungen Glacier towards Sama. After another 20 minutes walk, we reach Sama Gompa where we stop for a night halt. Overnight at the Guesthouse (Breakfast, Lunch and Dinner Included). Today we will climb a terraced hill on the opposite bank of BudhiGandaki River and pass through a small village of forty houses check-by-jowl. A permanent settlement, where 200 villagers lives all year long, isolated and far from everything. We keep walking to Stone Hut. We are over 4000 meters of altitude,we need to have a rest day to acclimate our bodies to the reduction of the air. We will stay in the Stone Hut village to explore the area, relax, meet local people and share time with them to understand their lifestyle. We will first climb towards Cho Chanda and then slowly head steeply uphill towards the snowed-up pass. From the summit the panorama on the others highermountains is beautiful: HimlungHimal (7,126 m), CheoHimal (6,820m), Gyagi Kung, Kang Kuru (6,981m) and the Annapurna II (7,937m). The descent is steep to Bhimphedi. Today is a nice walk, which gradually climb to Karcha La Pass through paddy fields. Afterward the track descendsthrough fig tree and rhododendrons forest. The colourful of the wild flora is mixing perfectly with the natural mountain environment around us. Approaching the end of the trek and being near to the valley we will meet lot of villagers on the trail, who come from the city with «doko» on their heads full of supplies. Men as women carry those woven bamboo baskets to their villages. We will cross the Marsyangdikhola River on a suspension bridge and follow it to Tal. For this last trekking day, we will firstly go up to the mountain pass, which closes the Manaslu circuit and follow a path carved in the cliff. As on the first way, we will spend the night on Jagat Village. After more of a trekking week in the mountain it will be time to go back to Kathmandu. Enjoy the beauty of the countryside, green hills and thundering rivers. The bus will drop you to your hotel and it will be a free time if you want to visit the surrounding area or have a rest. We will transfer you to the airport and hoping you spent a beautiful time with us.